So begins the story of The Mystical Museum, just one of the amazing stories written by a group of young writers. Read their stories about trolls, magical libraries and museums, zombies and witches. Stories about life and death, love and hate. This book has it all. This book was written by a group of young writers aged 9 -12 over three days in the June-July holidays at the 2015 A Way With Words writing workshop with popular author Brian Falkner. It contains 14 stories varying in length and has 211 pages with an illustration for each story by Lachlan Creagh. 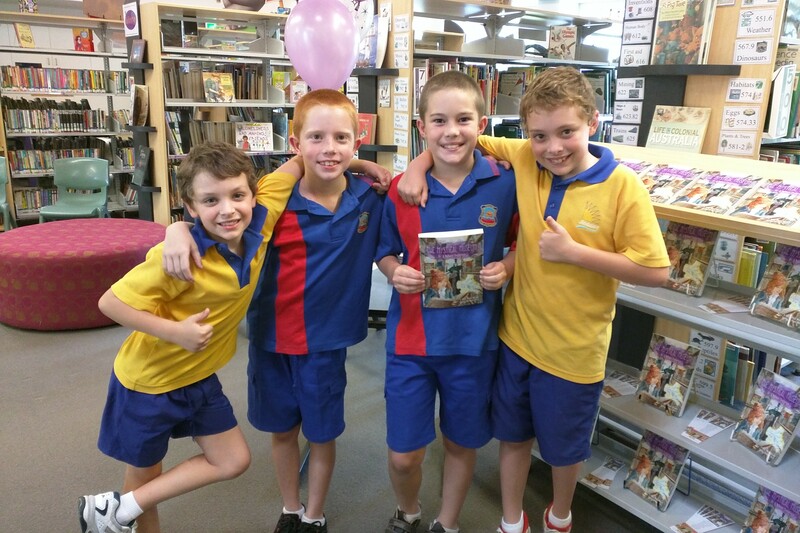 They had an amazing time writing their stories then in December attending the book launch at Bethany Lutheran Primary School in Raceview where the workshops were held. To find out more about the project, view the tailer and images of the launch, download a free book mark or order a copy, go to our Projects page.